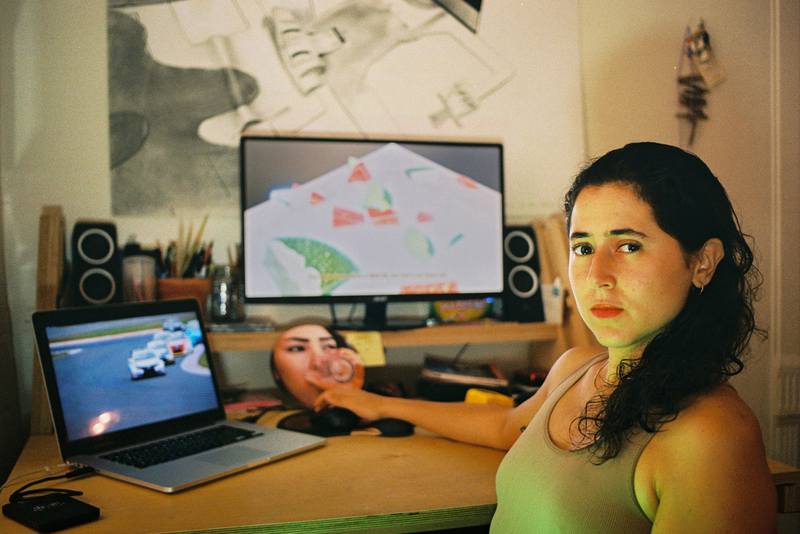 Meriem Bennani lives and works in Brooklyn, New York. Juxtaposing and mixing the language of reality TV, documentaries, phone footage, animation, and high production aesthetics, she explores the potential of storytelling while amplifying reality through a strategy of magical realism and humor. Bennani has been developing a shape-shifting practice of films, installations, and immersive environments, composed with a subtle agility to misappropriate the clichés of North-African culture. Her work questions our contemporary society and its fractured identities, gender issues, and the ubiquitous dominance of digital technologies. Bennani’s work has been exhibited at MoMA PS1, the Jewish Museum and the Kitchen, all in New York, as well as Art Dubai and the Shanghai Biennale.